When was the last time you went somewhere and didn’t have cell service? Were you concerned? I’m guessing that most of the time when this happens it’s not an emergency. Usually we can drive a few more minutes, or walk, hike or ride to find that necessary cell service that we have all become so attached to. But…what if it was an emergency? What if you needed help? Medical services? A towing service? Or what if you just needed to let someone know that you are ok? Enter SPOT. Spot has a couple of products that will help get you out of a bad situation…or at least get you some needed assistance. 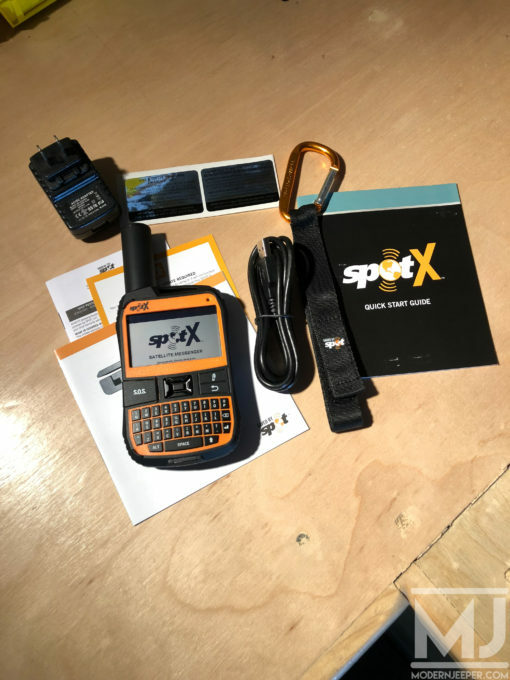 Here I will review the newest — Spot X.
I was already familiar with one of their earlier and much simpler devices that basically, at the press of a button, sent one of three pre-configured messages…using satellite communication…not cellular service. 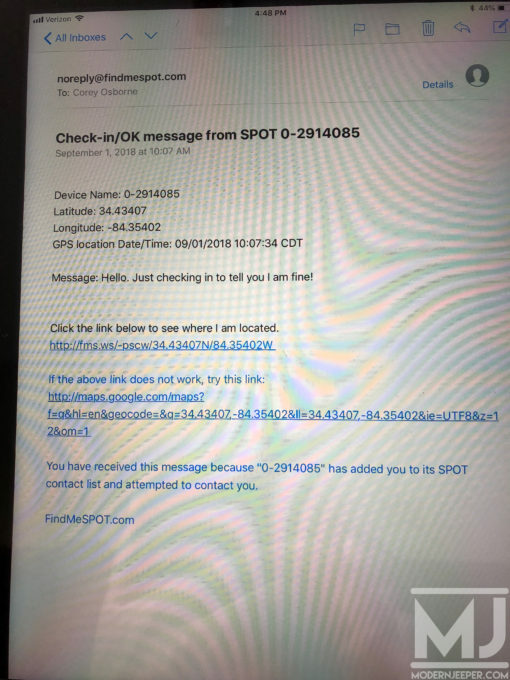 When a message was sent, it went to pre-configured email addresses along with a link on a map (Google Maps) showing from where the message was sent. With a touch of a button, users can let friends and family know everything is going as planned and there is no need for alarm. Link your accounts to keep your friends and family in the know wherever you go. The Spot “X” is the company’s newest device and does all of the above things, along with much much more! It comes completely ready to use with a strap and carabiner, an 18″ micro USB cable, a quick start guide, AC power adapter, a mirrored SOS sticker and a GEOS (emergency response) reference guide. After charging up the Spot X, you must activate the device and download a quick firmware update. I performed these steps at a hotel using their internet service and my MacBook Pro. It took maybe 15 minutes to perform these tasks. 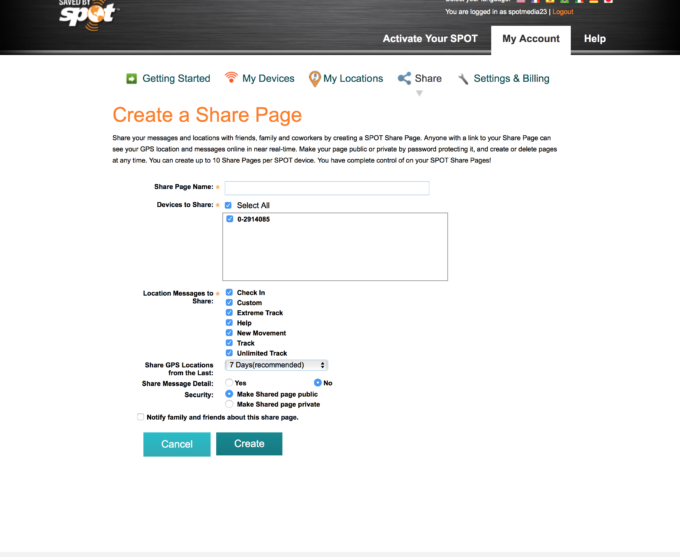 That said, the next steps involved setting up my personal account at FindMeSpot.com/MyAccount. There are LOTS of custom configurable settings inside your personal account page. You can create multiple contacts, link your device to social media, create your predefined messages and set up your Check In. You can Check In with friends and family by quickly sending a pre-programmed message and/or email along with your GPS coordinates to up to 10 contacts. The Check In message will include a link to Google Maps™ containing the SPOT X’s location. Very handy and very easy! Simply scroll over to the “check in” and press the center “select” button. 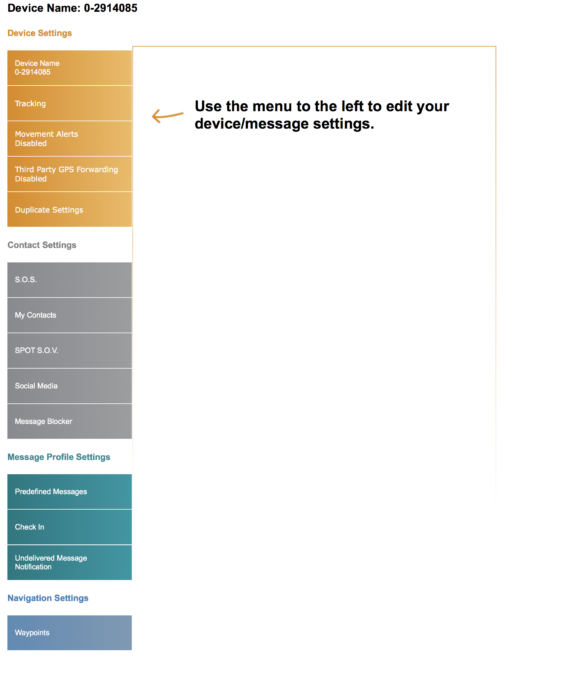 It automatically will send texts or emails depending on how you have it configured to one or multiple people. This device also has its own mobile device “number”…yes, a registered phone number. 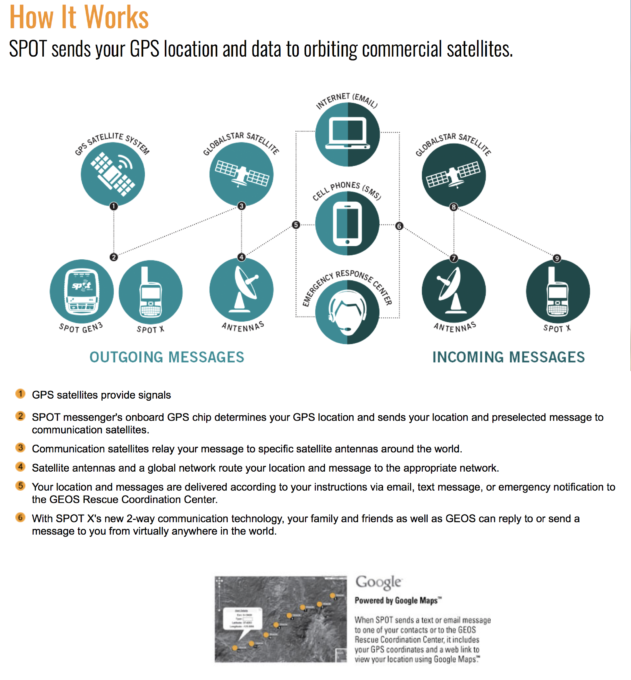 You can send as well as receive text messages via satellite. And the coverage is far better than your cellular service! I have put this device to the test for the past couple of weeks. It does take a little bit of practice to feel comfortable with all of its features…and there are still ones I have not used. 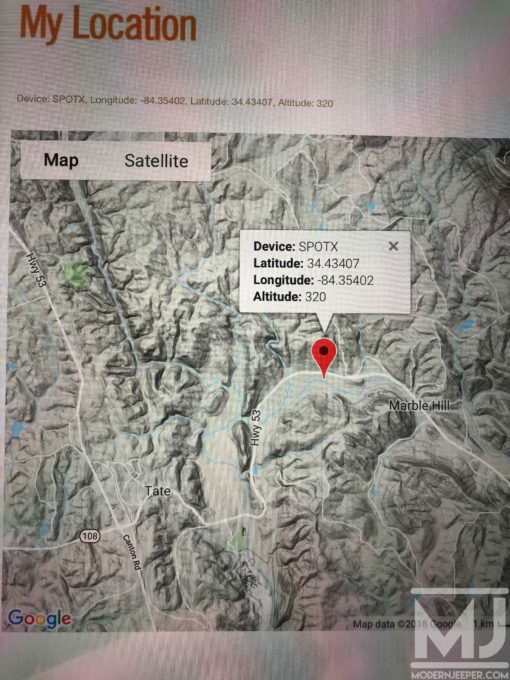 As a ModernJeeper, I’m a pretty gadget-oriented guy and like new things, especially new technology, so after setting up my user account and a few contacts, I was ready to go get lost! I’ve attached a few pictures of how the emails look that go out to your contacts. 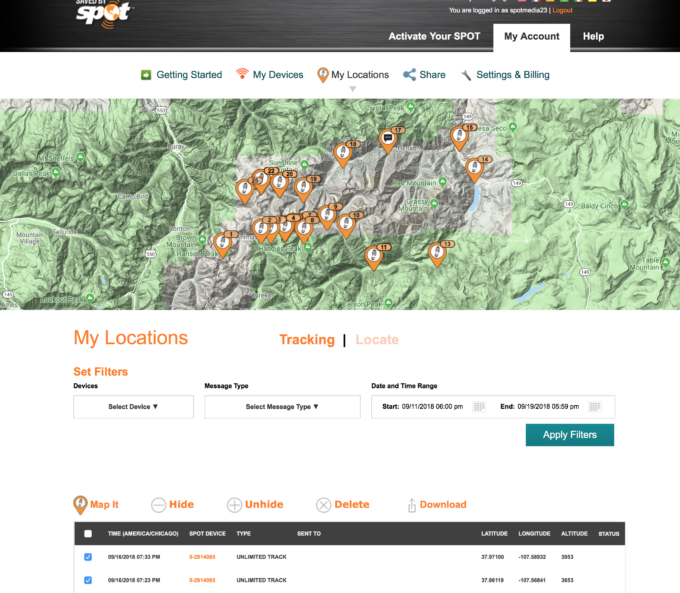 You can also set up a “Share Page” and use the tracking feature of the Spot X to show folks with whom you have shared the page a track of where you have been, configurable in 2½, 5, 10, 30, or 60 minute tracking intervals! Awesome! The most important feature of the device, however is its Emergency Response Service, powered by GEOS. 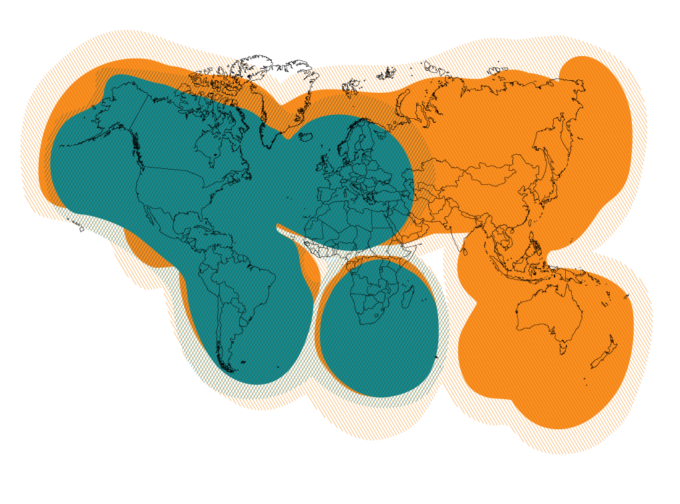 This device enables you to have their International Emergency Response Coordination Center at your finger tips. Pressing the S.O.S. button on the device (underneath a protective cover) activates the Response Center which enables Search & Rescue services in the case of life-threatening emergencies. 24 hours a day, 7 days a week. So, by now you are wondering how this all sounds great but at what cost? The main feature of this device is one that we hope to never have to use, so it’s similar to purchasing insurance. What this device does provide is peace of mind. It’s the reason we as ModernJeepers carry spare parts, tools, first aid kits, etc. It’s the reason we try to not jeep alone. It’s the reason we try and tell someone where we are going and where we will be — peace of mind. I know first hand that the majority of trails in Colorado don’t allow me a cellular signal. And sometimes that’s why we go out on these trails! 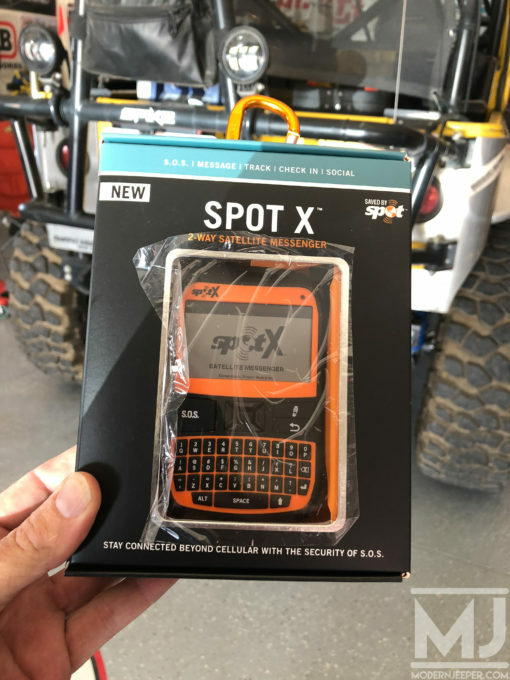 So, the SPOT X is one of those devices that I believe we should all have…if we enjoy venturing into the backcountry…or anywhere outside of where we can ensure our safety through a cellular signal. SPOT X offers two different service subscription options. Choose either a monthly Flex Plan or annual contract plan. 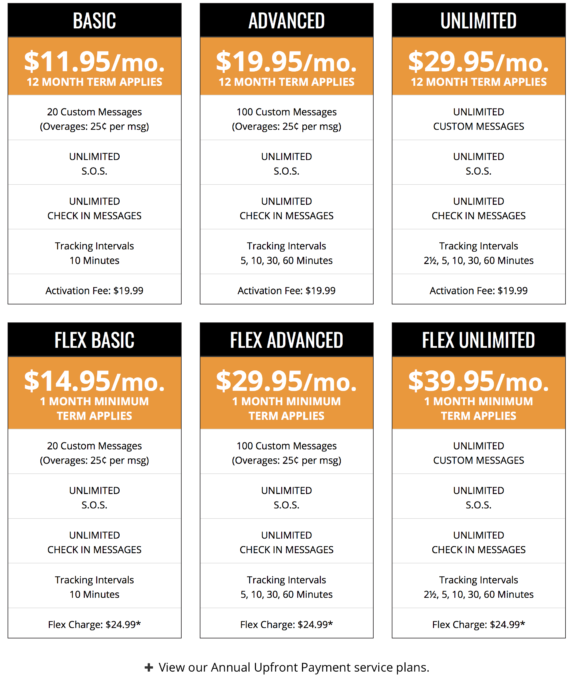 Flex Plans are best for seasonal use and only require a one-month subscription. Annual plans are perfect for get-up-and-go year ’round use with an added benefit of monthly payment. Annual contract plans also have the option for you to pay upfront and get all allotted messages in advance. Spot X has several incredible features, and battery life is one of them. At one point, I forgot it was left on and picked it up 5 days later…it was still functioning. Their website states 10 days of battery life running in 10 tracking interval mode! I give the SPOT X a big 5 Jeeps!